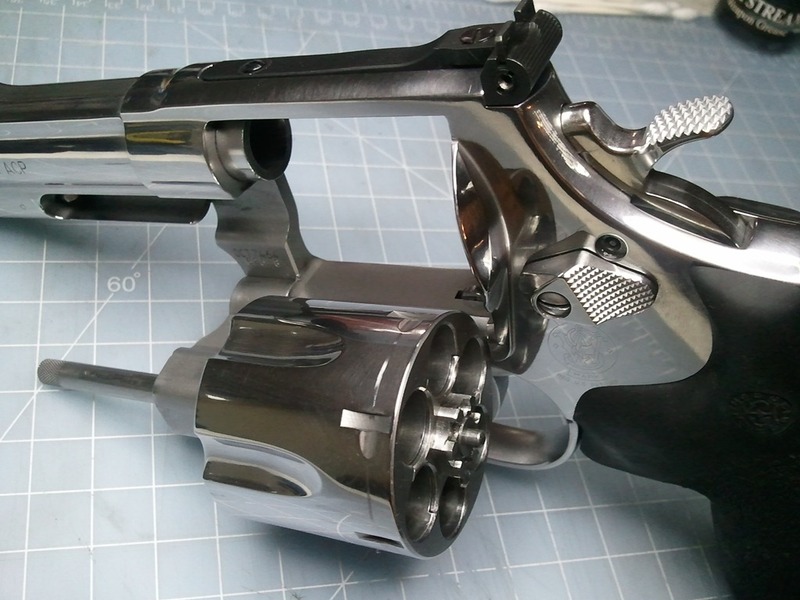 Boredom can be a very dangerous thing, especially when you are into firearms. You start pulling out your toys and think about all the things you’d want to do with it. 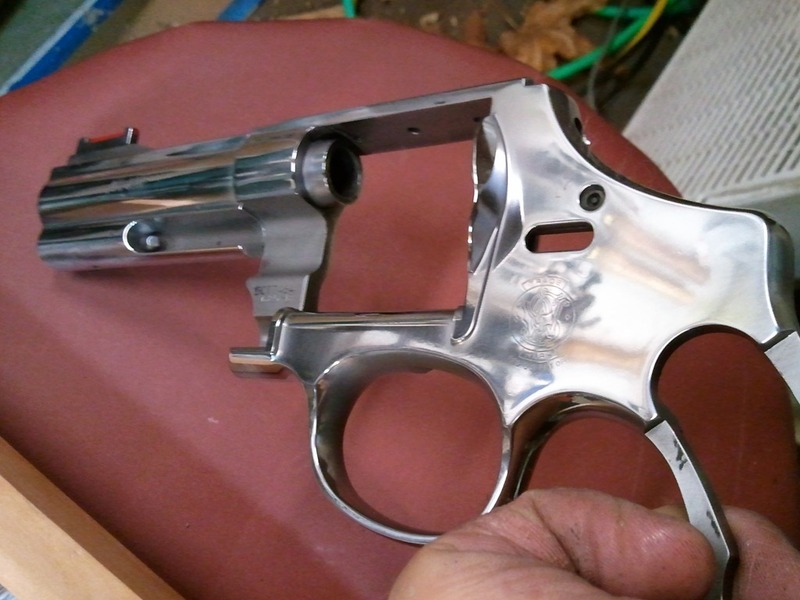 Modify the sights, lighten the trigger pull and polishing the stainless. For me, I got hit by the red-neck virus. 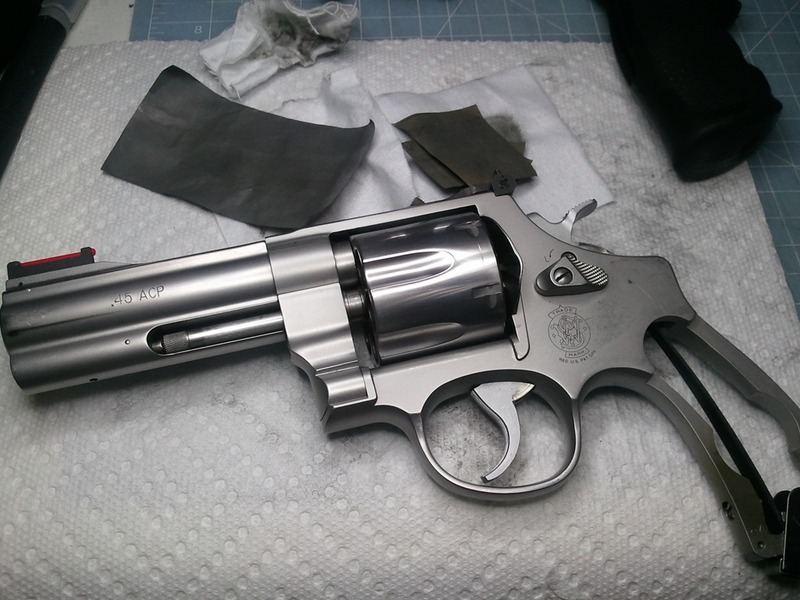 I’ve always loved a highly polished stainless revolver and since I had time and I had one revolver that I wasn’t shooting this coming season, decided to take a sandpaper, some polishing compound and lots of elbow grease. 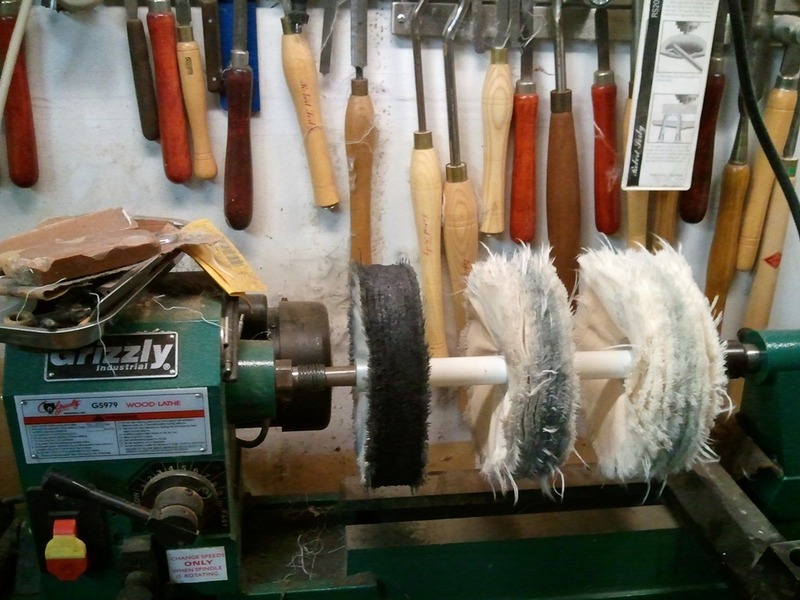 First day I started using 600 grit sandpaper and using my fingers, started working on the cylinder. Here’s how it looked like after two hours of hard work. Not too bad but definitely needs more work. By this point, my thumb and shoulders were all bruised up and tired. so I called it a night and stopped. Next day visiting my buddy Dave’s home, found out he had a polishing/buffing wheel and brought me out to see if it’ll work. of course it will!! this will save me a ton of time. 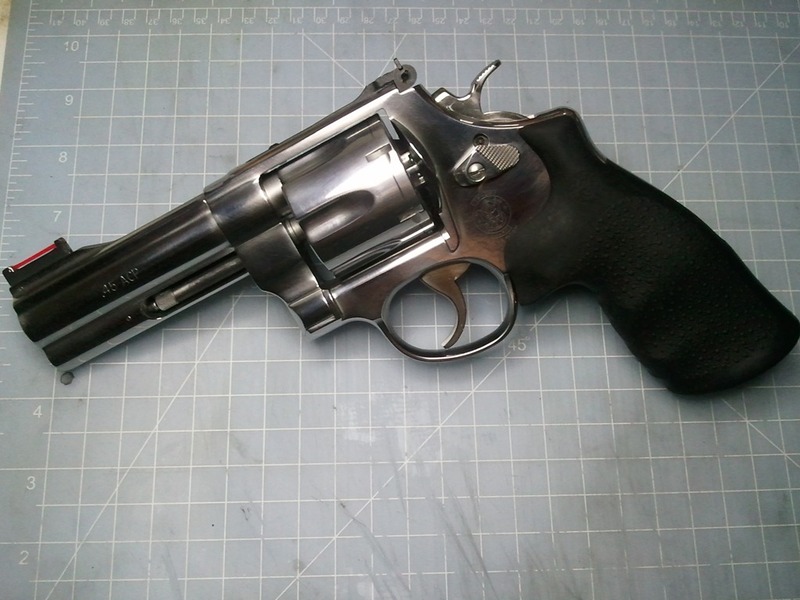 I quickly rushed home and brought my half done revolver over. This is what it looks like after 5minutes!! Definitely much faster and so much more efficient. It covers all the large rounded areas very well, but the smaller tighter spaces I’d have to use my fingers and do it manually. 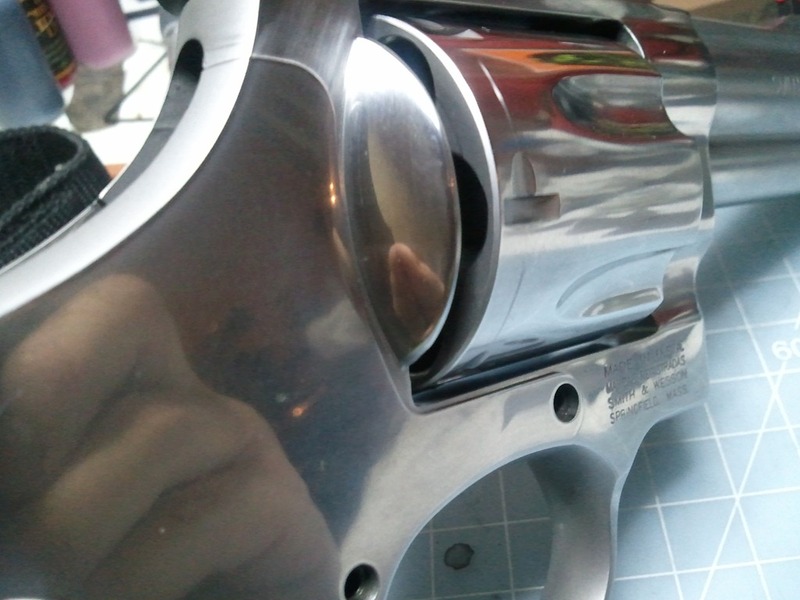 So after about an hour on the buffing wheel and then some manual work on the trigger, hammer and cylinder release latch. All done. 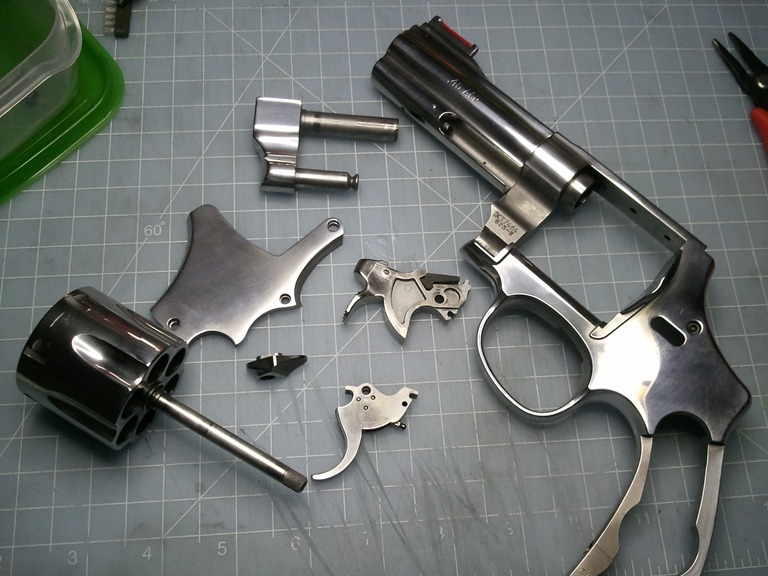 Now to relube, reassemble and retune the trigger pull. Ricardo Lopez is the grand-master of masters. 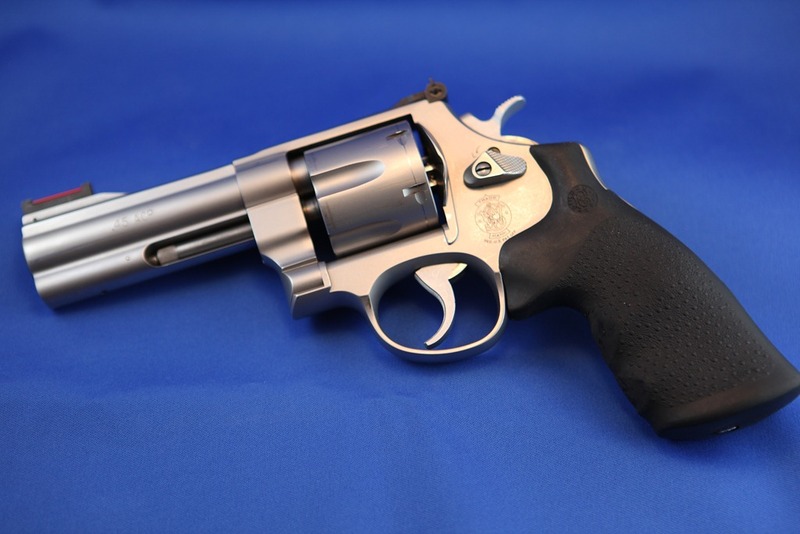 He is the world champion revolver shooter and bested even the unbeatable god of revolvers, Jerry Miculek during the most recent World Shoot XVI. here’s a playlist of videos that was posted by patoboy71 on YouTube of Ricardo’s performance. amazing. Open is a whole new ballgame. 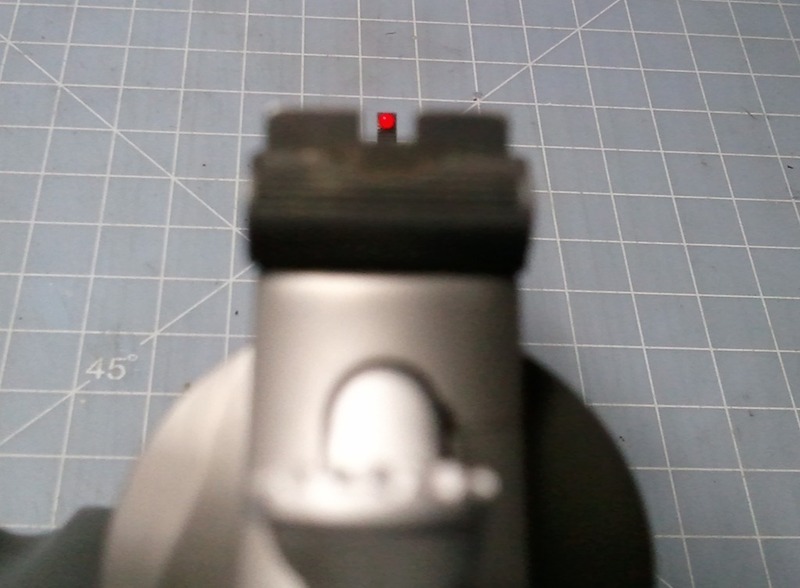 I’ve only been shooting in the Open division (USPSA) twice, and I’ve already learned one very important lesson. Matches and stages are won and lost because of a fraction of a second. A stove pipe, a mental pause, hesitate and your placement can drop tremendously. You have to not only be at the top of your shooting technique and gun manipulation, more importantly, you have to be at the top of your mental game. Lose focus for 0.2 secs and you’ve lost two places. Remember that “chicken finger” you got on the 2nd array? yup! you just gave away a stage win. I know the other divisions is similar in a certain way, but it’s a heckuva lot more pronounced in Open. 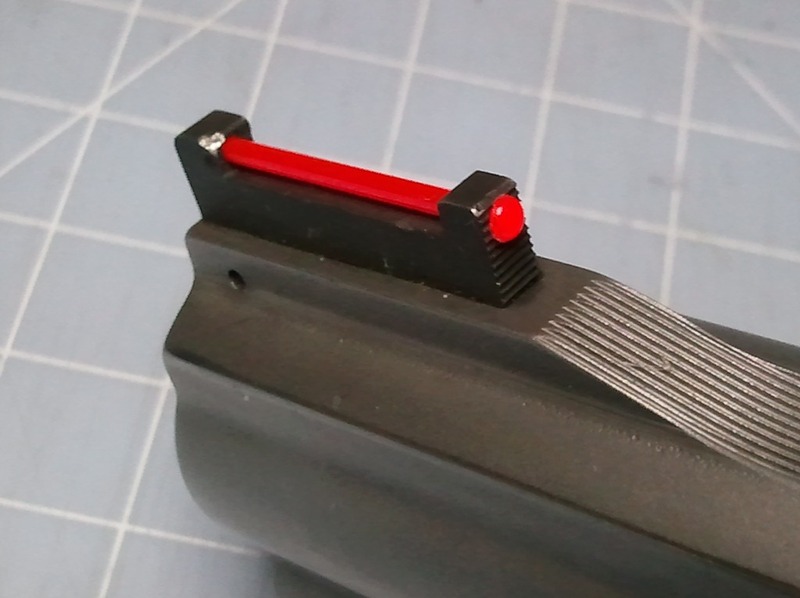 I broke my SDM Front Sight fiber rod when I dropped my gun at the recent Area 1 Championships. Ordered some replacement fiber rods from SDM and they came in today. Trim it off with a sharp knife, make sure the cut is straight. 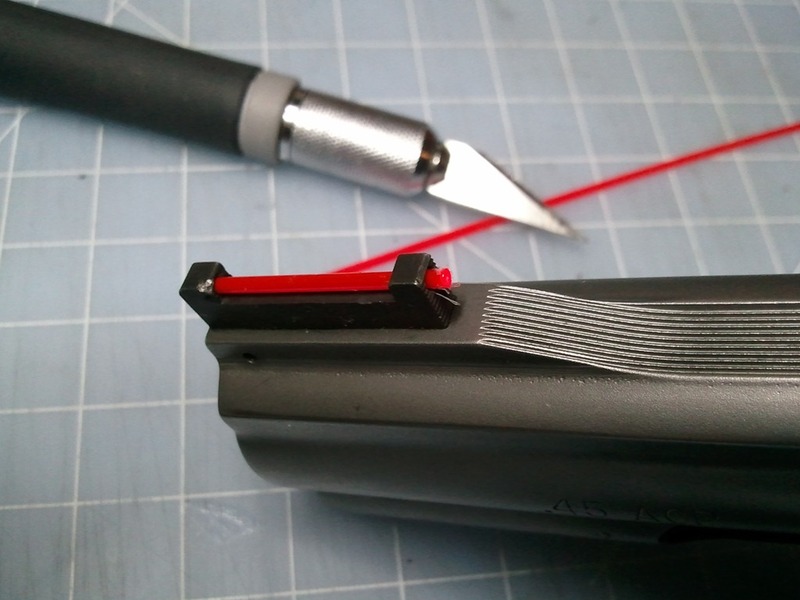 A suggested way to cut it is with a sharp nail clipper. 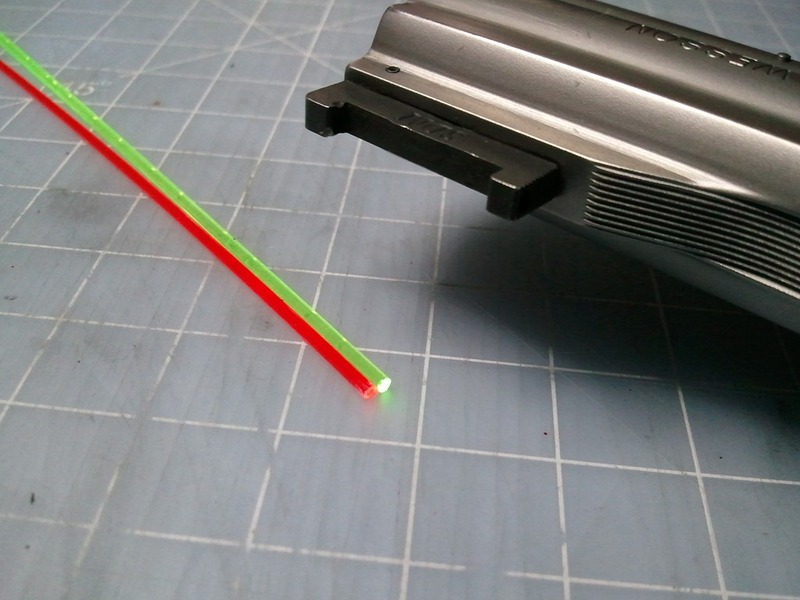 Then use a lighter to melt the tip. The amount of fiber sticking out determines how large the melted portion will be. 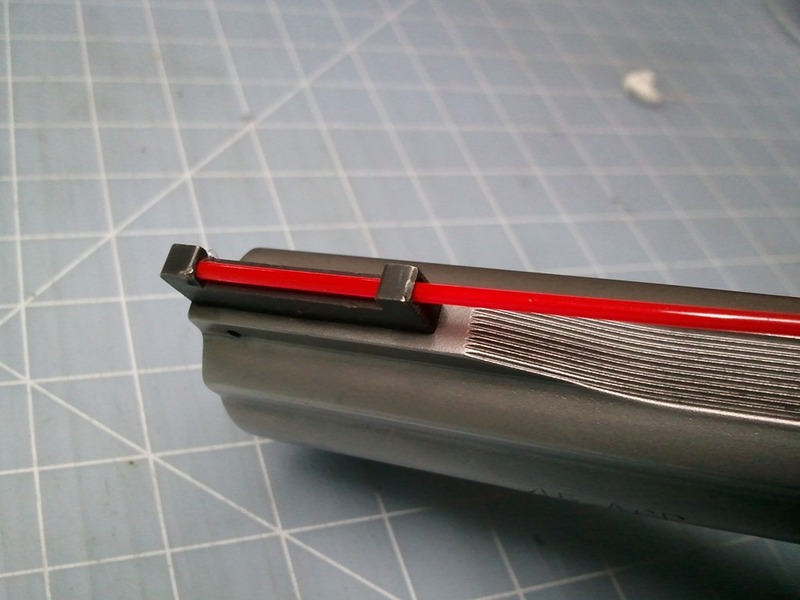 After that, for good measure, I put a very small dab of Loctite at the end of the fiber and behind the melted portion to make sure the fiber stays on the sight. There, back to normal. Sweet! I got my baby back. USPSA Area 1 Championships, Albany, OR. Shot this fabulous Level 3 match in the Albany Rifle Range in Oregon. Excellent weather, great facilities, awesome stages. Piss poor performance unfortunately. I did pretty well until I decided to get myself kicked out of the match from a stupid mistake. Watch the video to find out what happened. How did my gun drop? 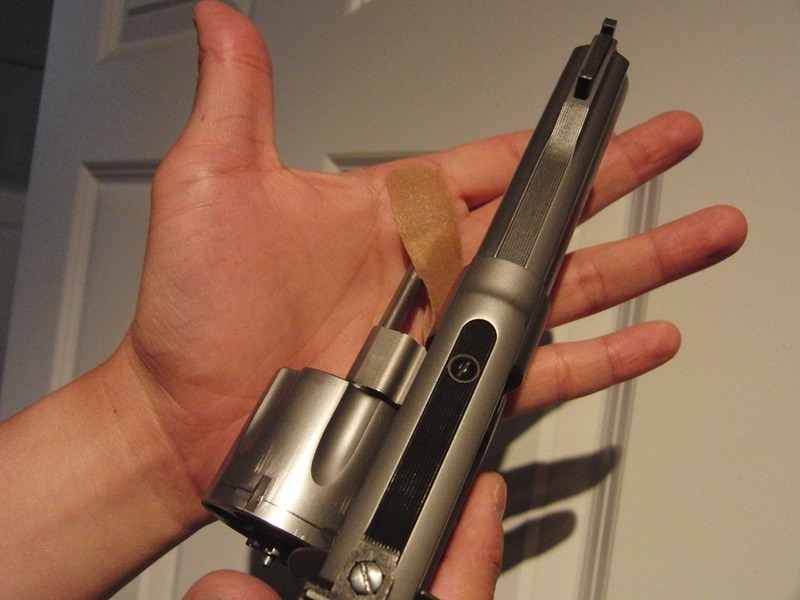 Ejection Rod got caught under my band-aid and when I reached down to grab the moonclip, it tore the gun out of my hand. Like so. Shot a few more reloads through my Open and Revolver and got the following results. Great!! I got my loads right for Open and confirmed my Revolver power factor for my big Area-1 Match coming next month. 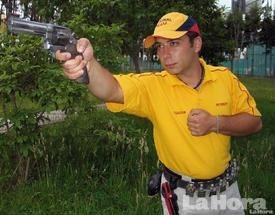 Shooting revolvers can be taxing on your hands especially in USPSA. 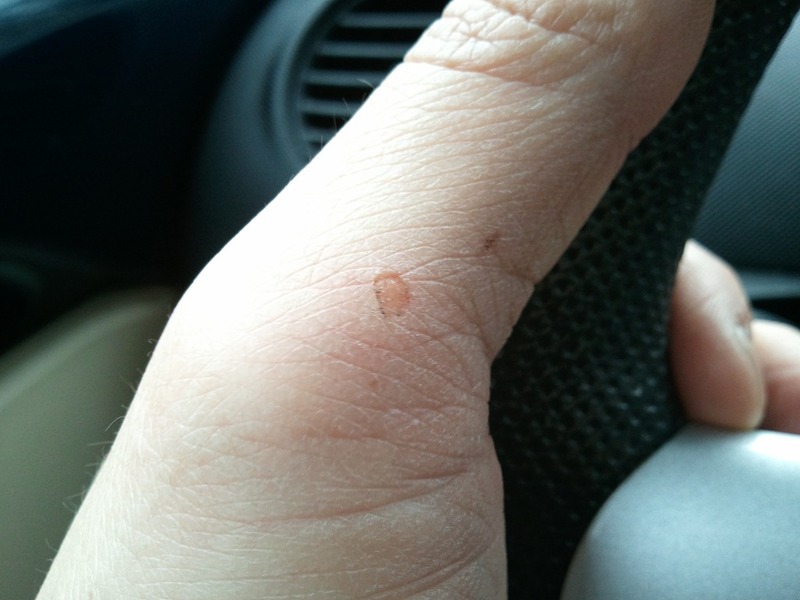 Everytime I shoot a USPSA match, I get a wound of some kind on my support hand. Here’s the trophy from Sunday, torn the skin off.